In addition to the recreation books and adventure stories published by Mountaineers Books, we have two imprints, Skipstone and Braided River. Skipstone titles promote a deeper connection to our natural world through sustainable practices and backyard activism. 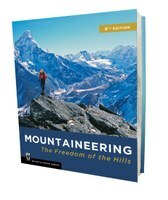 Skipstone books inspire us to effect change without losing our sense of humor, celebrate the freedom and generosity of a life outdoors, and pitch in where we can on the maintenance of our planet and our own neighborhoods. Looking to have more unstructured fun outdoors, start an organic garden, or make your own kitchen more sustainable? You’ll find realistic and doable advice for building community and conserving resources in our Skipstone titles. Skipstone readers live smart, play well, and engage in the communities around them. Braided River uses photography and stories to show and explain the value of specific wildplaces in North America as a sort of "revelation" advocacy. 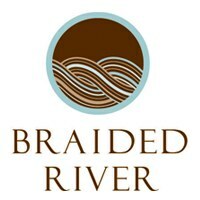 The goal of each Braided River title is show readers what's at stake when wilderness is lost, and to provide the scientific, ecological, economic, and cultural arguments for preserving especially fragile environments. Braided River’s first book, Seasons of Life and Land in the Arctic National Wildlife Refuge was critical in efforts to protect the Arctic’s most fragile places from oil and gas development. Since then, we have featured sensitive places from the Arctic down to Baja California and east to Rocky Mountains. Conservation organizations across the country have used Braided River’s communication tools to help influence policies that will protect these precious wild places for many years to come. Braided River also goes “beyond the book” with media campaigns, multimedia presentations, and museum exhibits, all designed to engage audiences outside the traditional environmental core.